Occator Crater, home of Ceres’ intriguing brightest areas, is prominently featured in this image from NASA’s Dawn spacecraft. NASA’s Dawn Spacecraft views the shadowy, cratered terrain of Ceres in a dramatic new view of the dwarf planet. Dawn snapped this image on October 16, from its fifth science orbit, in which the angle of the sun was different from that in previous orbits. 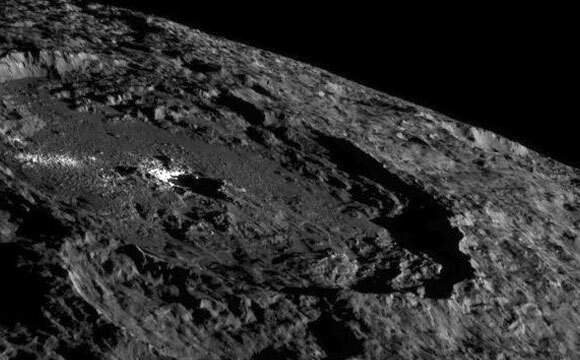 Dawn was about 920 miles (1,480 kilometers) above Ceres when this image was taken — an altitude the spacecraft had reached in early October. On Nov. 4, Dawn began making its way to a sixth science orbit, which will be over 4,500 miles (7,200 kilometers) from Ceres. While Dawn needed to make several changes in its direction while spiraling between most previous orbits at Ceres, engineers have figured out a way for the spacecraft to arrive at this next orbit while the ion engine thrusts in the same direction that Dawn is already going. This uses less hydrazine and xenon fuel than Dawn’s normal spiral maneuvers. Dawn should reach this next orbit in early December. 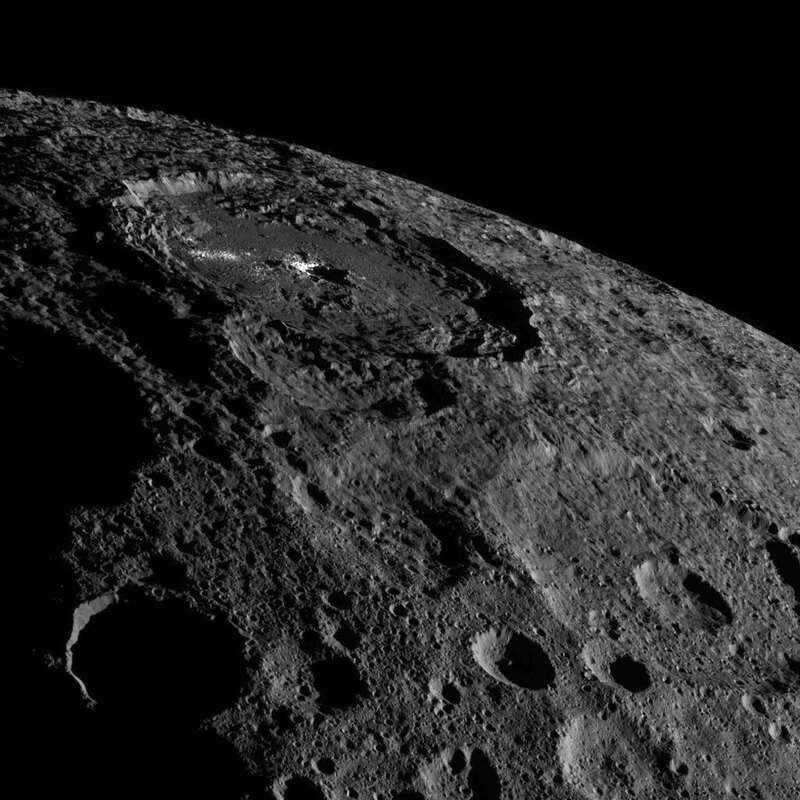 Be the first to comment on "New Image of Ceres from NASA’s Dawn Spacecraft"